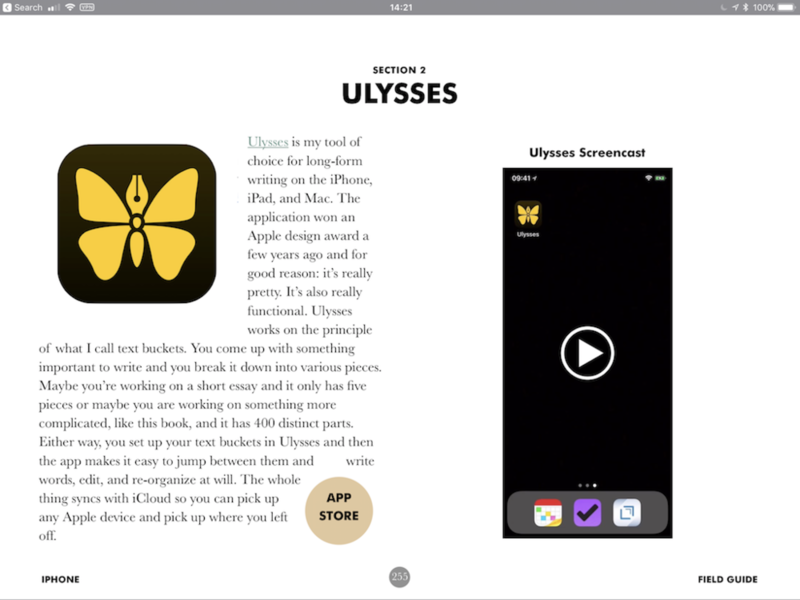 With the iPhone Field Guide learn to get the most from your iPhone from this media-rich book that is sometimes user guide, sometimes opinionated app recommendations, and sometimes iPhone sensei. 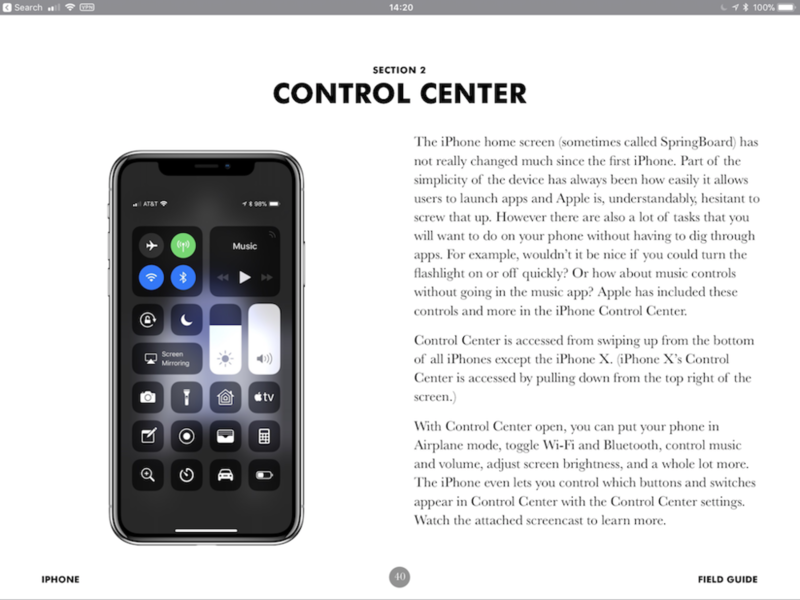 Built entirely in iBooks Author, this multimedia book includes screenshots, photo galleries, and video screencasts all engineered to make you an iPhone power user. There are over 50 screencasts adding up to over two hours of video instruction, 450 pages, 44 chapters, and over 65,000 words to help you learn how to squeeze every bit of awesomeness from your iPhone.